I am an American-born Londoner. Raised in Rochester, NY on the shores of the mighty Lake Ontario, I waited until I was a Computer Science student at the University of Wisconsin-Madison to take up sailing on a puddle called Lake Mendota. Go figure. After university I moved to Chicago, and there I got into racing on Lake Michigan. A couple of years later I moved to London and mostly forgot about boats for a decade or so (I was preoccupied with the Web, art, programming and punk rock). While working at the BBC I took up dinghy sailing at a club based in Brighton. In 2007 I ran away to sea for the first time, crewing on 40 foot classic yawl from the Canaries to Brazil via Senegal and Cape Verde. Shortly after my return I met my partner Rupert. 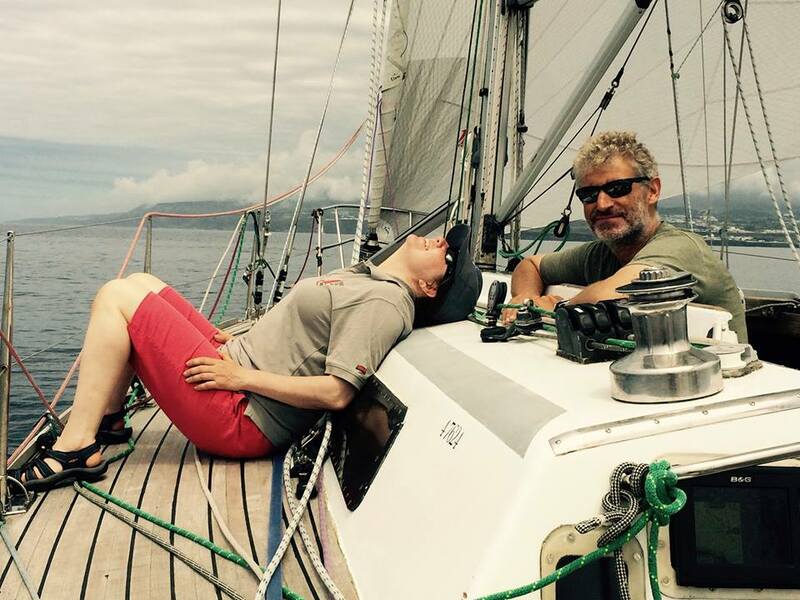 Together we have cruised and raced over 15,000 miles on my boat Zest and Rupert’s Discovery 3000 based near the Sporades in Greece. We also put many fun miles under the keel of Minestrone, our quarter tonner, which we sold in late 2015. 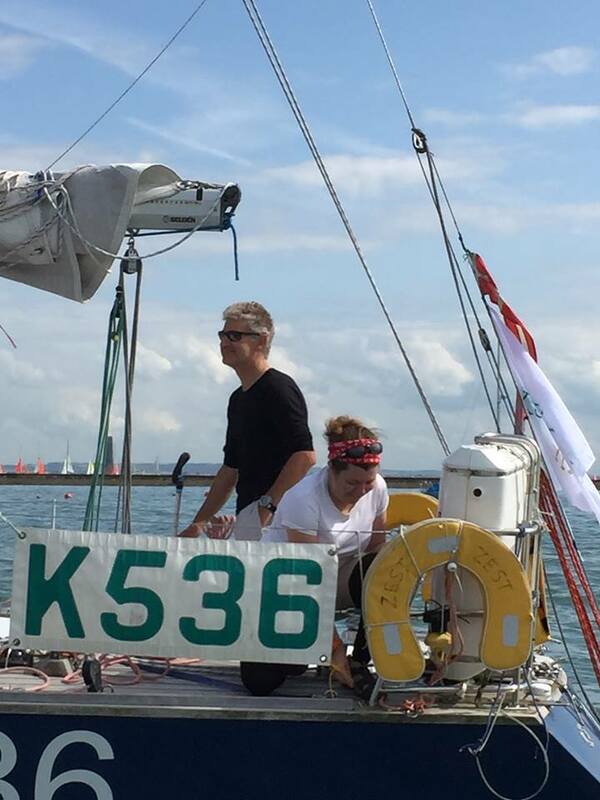 In the winter we both race in the Illusion fleet at Bembridge Sailing Club, and in the Summer, if I’m not off racing Zest, then I enjoy crewing on Etchells and Dragons in Cowes. I originally bought Zest in early 2013 with the intention of taking part in OSTAR 2013 (The Original Single-handed Trans-Atlantic Race). I didn’t make it to that start line, but remain committed to being there in 2017. In the meantime I have been racing Zest extensively, both solo and double-handed. Rupert is a prolific freelance yachting journalist with more than 75,000 miles of offshore cruising and racing experience in waters ranging from the North Sea to the Southern Ocean. As well as extensive cruising he has raced a wide variety of yachts, from the smallest of keelboats to Farr 45s and TP52s, but now prefers the challenge of long-distance short-handed sailing. Great to see Minestrone is still going. She looks great. My father, Ken Wyllie, commissioned her to be built for the 1975 quarter ton cup in Deauville. Many happy memories! Hello!!!! I just saw your indie Gogo campaign and am so excited for you!! I donated what I could. I am preparing to do my 2nd singlehanded transpac and am working on a documentary about he history of women in that race (as you can imagine there are sadly way fewer women than men). I want to also interview other women who do solo offshore sailing. Would you be willing to let me interview you for my project? It seems we have the same drive to inspire more women and girls to get out on the water and seek adventure!!! Either way I am rooting for you and can’t wait to track your progress!! Warmly,Margie Woods. Wow! Thanks Margie for your very generous contribution. I would be honored and thrilled to be interviewed for you project. Good luck with your second transpac, I would love to do that race someday. Keep an eye out for my friend, Richard Lett, who is also intending to enter the next one.